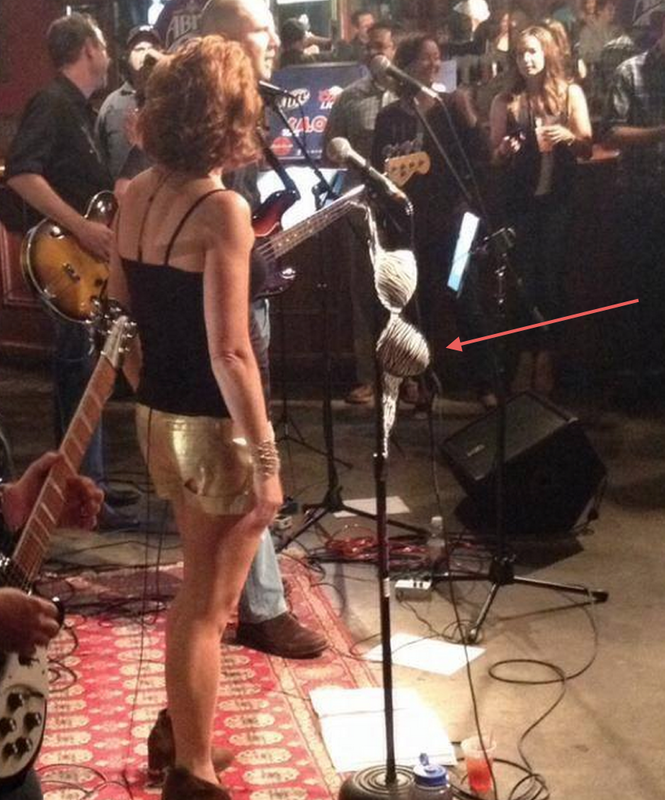 Actual photo from first concert, moments after bra-throwing. Fun post! Keep up the great work! Soon you won’t have to go lingerie shopping! 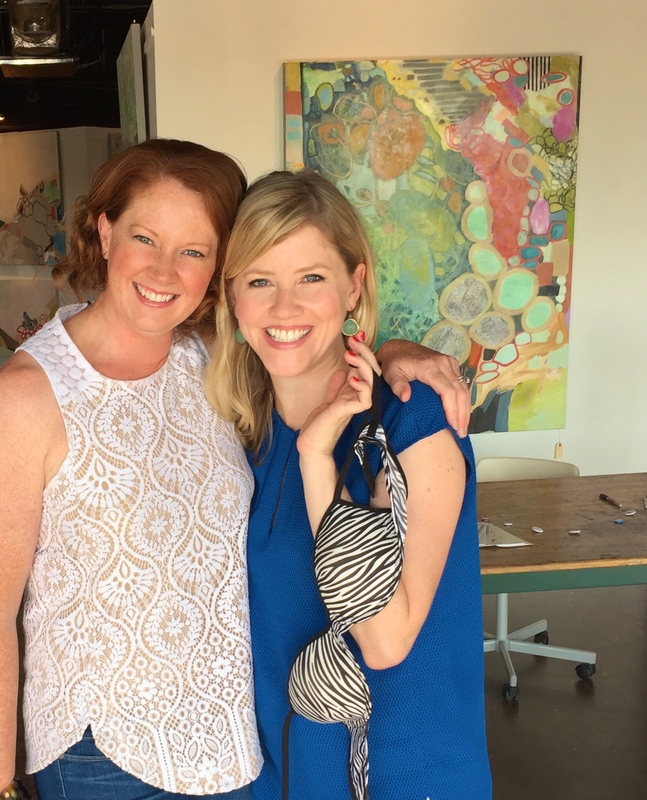 Sisterhood of the traveling brassiere! I love this post. Women get so few experiences of team spirit; this bra-flinging needs to be a trend. Congratulations on your book!! Were you just at Book Con in NYC? Yes, I was! And thank you! Excellent — throw it with pride. LOVE!!! And happy to have witnessed said bra tossing! 🙂 You are certainly a rock star in my book. Haaa… yes, you were there! My underwear options are limited and probably not conducive to throwing. And, alas, your badge from me might be misunderstood. Back to fist bumps it is, then. You’re a wise man, Ross. A wise man indeed. Brilliant post. I hope it ok that I republished it here. Of course. Thanks for linking it back. This is amazing! You’re a rock star. I love this! I’m going to try to do this sometime in life rather sooner then later. I will let you know how it goes! 1) Let it never be said of you that you are not giving because look at all this sharing you’re doing! Bras and badges, where does it end? 2) You’ve got awesome friends and this story makes me feel all swoony because it’s so sweet. And weird. Which is what makes it so sweet. Thanks! My friends do indeed have the sweet and the weird all wrapped up. Oh what a great line. I’ll check it out. Thanks! So this is only your second post that I’ve ever read, and I love you. This is amazing. 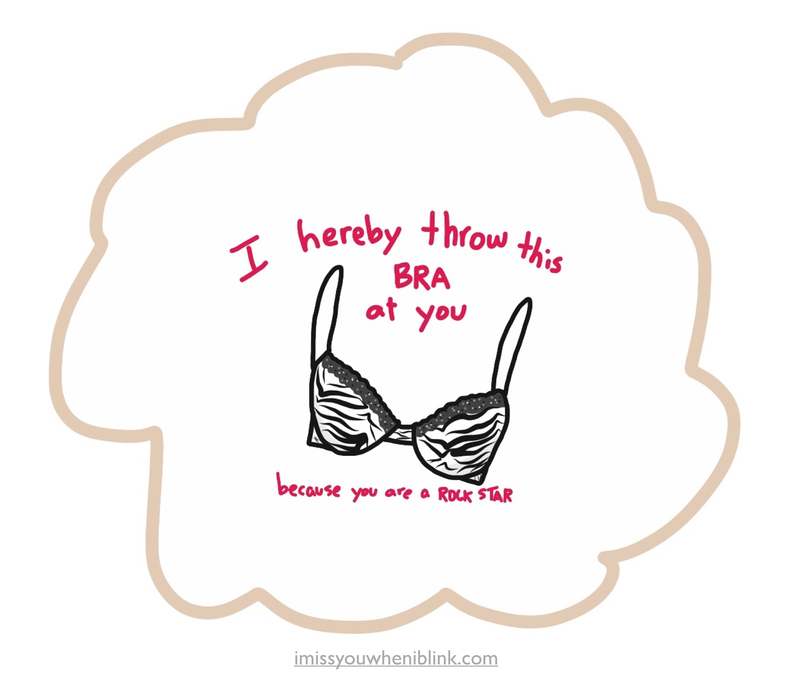 I throw my virtual bra at you.